Today, leaders who want to accomplish goals and move a business forward can only do that through strong relationships and engagement with others. 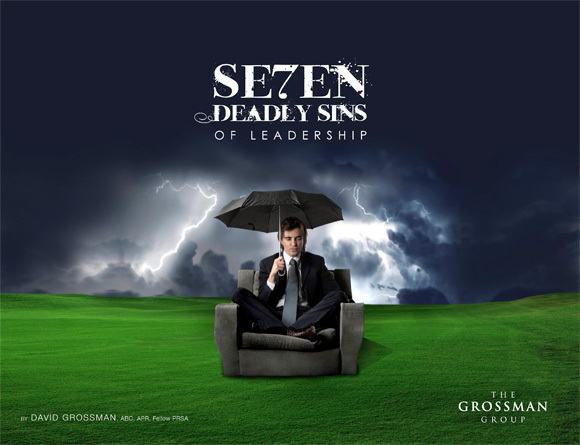 Unfortunately, all too many leaders succumb to “The Se7en Deadly Sins of Leadership”. And believe me, they are sins, and they are deadly. In my experience and without exception, I’ve seen that ineffectual and struggling leaders struggle with one or more of these leadership challenges. For most leaders, avoiding any of The Se7en Deadly Sins takes honest self-assessment and a concerted effort. And only by knowing these sins can you begin to think about how to navigate around them, and only then can we make the greatest impact on the people we lead.